What are they? I hear you say. 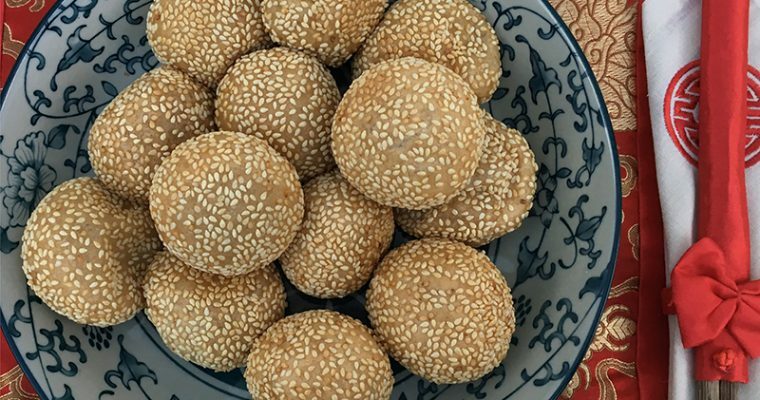 Well, they are deep fried glutinous rice pastry covered in sesame seeds with a sweet filling. You’ll find them on dim sum menu too. I would wake up on Chinese New Year day to find my mum in the kitchen making the dough in a massive tin bowl, and she would’ve made two types of filling (sticky caramelised chopped peanut / chopped candied winter melon) some time before, which I have been secretly eating… She’d then spend the early part of the morning making them, later part frying them and telling us how you need to press them to help them puff up. 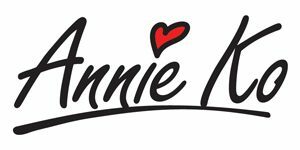 I would stand on a red plastic stool to watch, in awe of the smell and waiting for that first one she signalled me to eat. 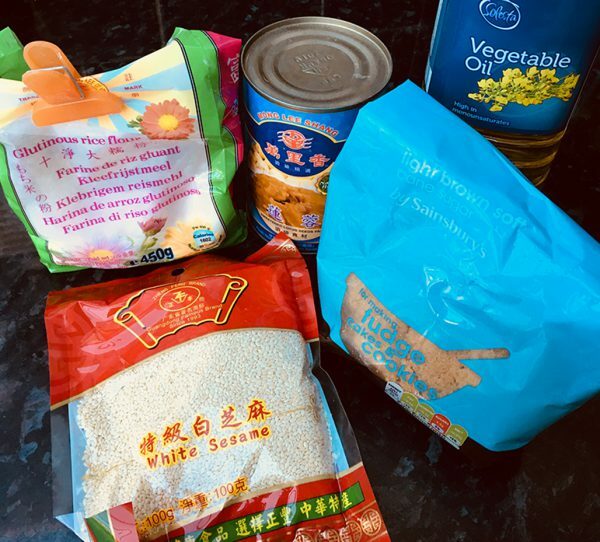 The 2 fillings I mentioned are very much a speciality of my mum, but traditionally it’ll be sweet lotus seed paste, or red bean paste. 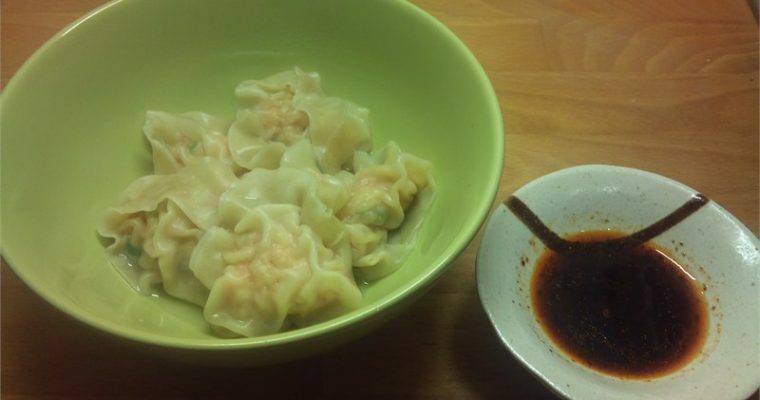 You can buy them in a can in most Chinese grocery shop or you can make it yourself. 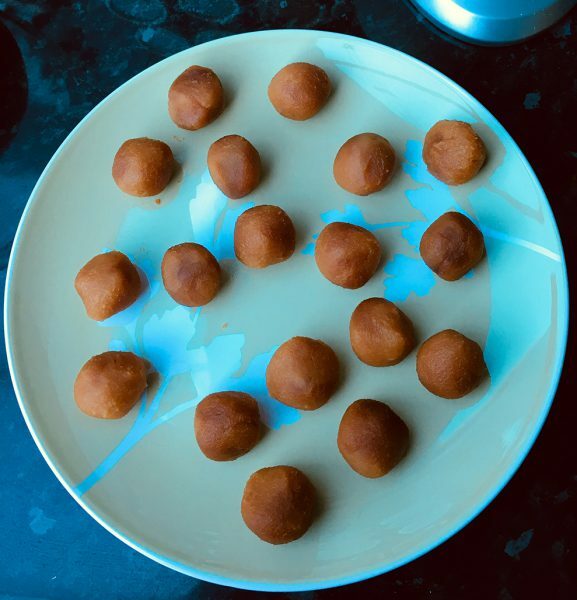 However, you can also just put some chocolate chips in there if you’re really lazy or can’t get hold of the ready made pastes. I have a recipe posted here on the Guardian’s website. 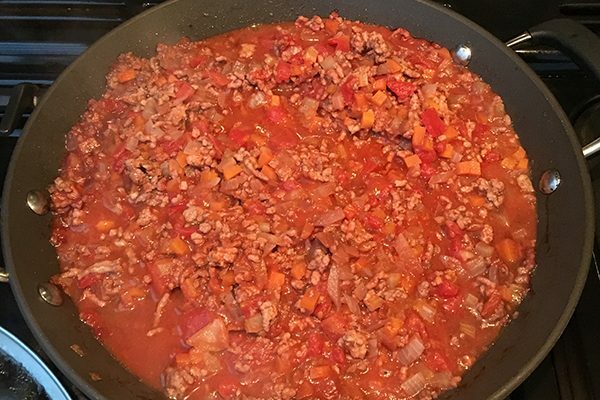 But it requires a bit more ingredient so this one is a more simplified version I think. They both taste awesome! A traditional chinese new year treat in Hong Kong. 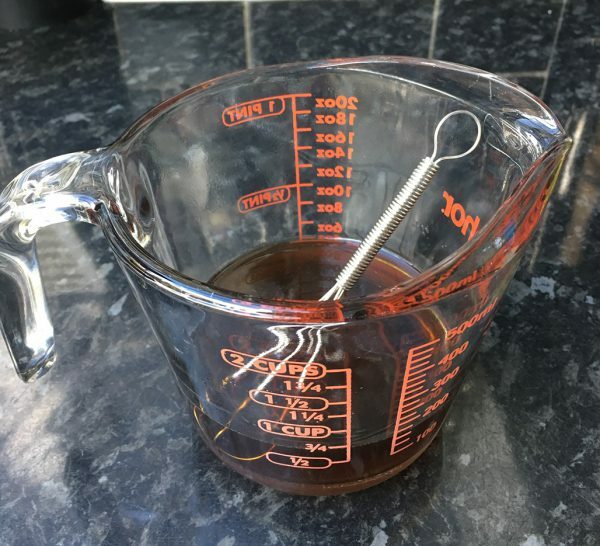 Melt sugar in 100ml boiling water, set aside to cool. 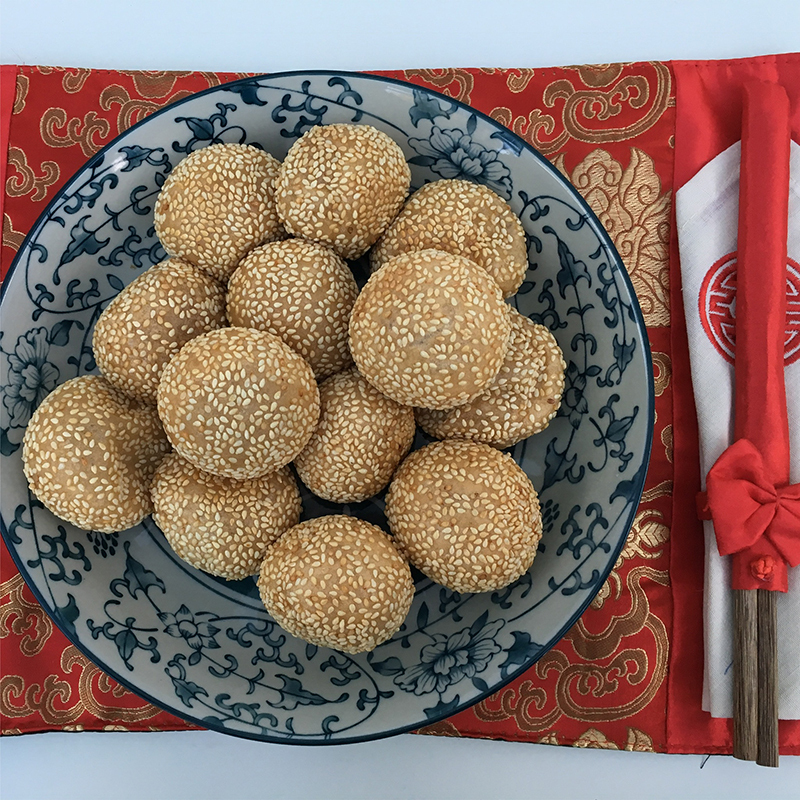 Whilst the sugar water is cooling, open the tin of lotus seed paste (or red bean paste), form into balls weighing about 18g each. 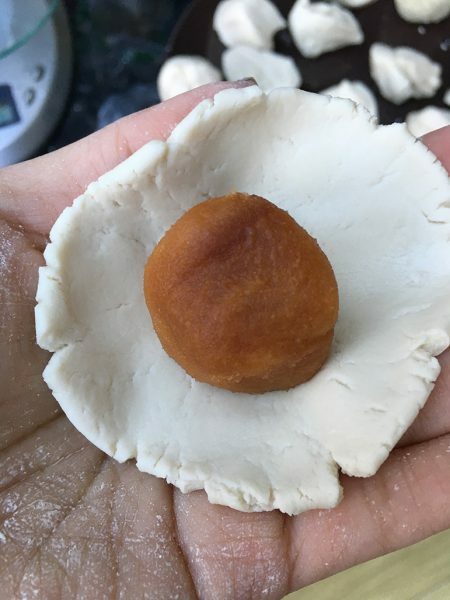 Make a well in the glutinous rice flour, pour in the cooled sugar water, mix. Pour in 100ml cold water to start with, then add in enough water to the mix until it forms a soft dough. 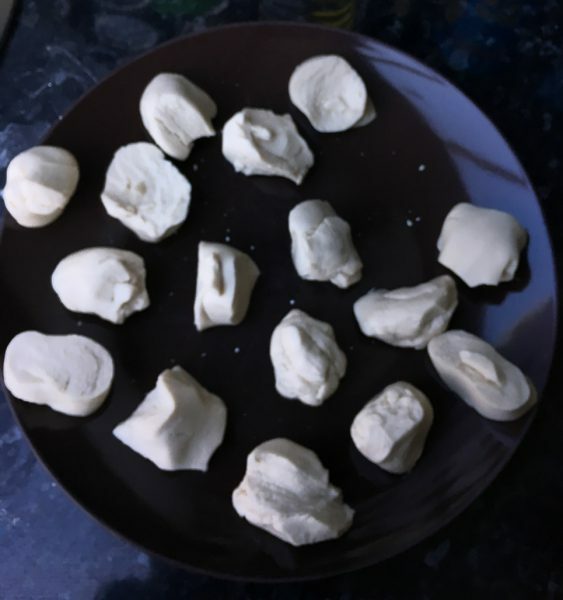 Encase the ball of filling in the dough, seal and roll it into balls using your palms. 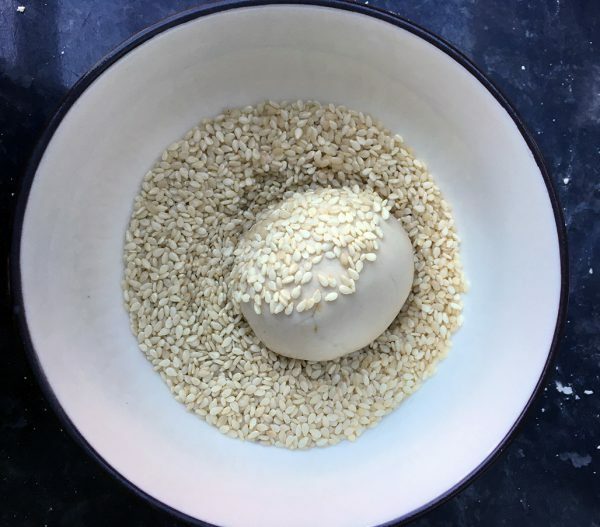 Prepare a little bowl of sesame seeds, slightly wet the surface of the balls and dip them in seeds. Heat the oil in a wok (or wide opening pan) with medium heat, when you dip a wooden chopstick in the oil, little bubbles should come up after a few seconds. If it bubbles vigorously immediately then the oil is too hot. 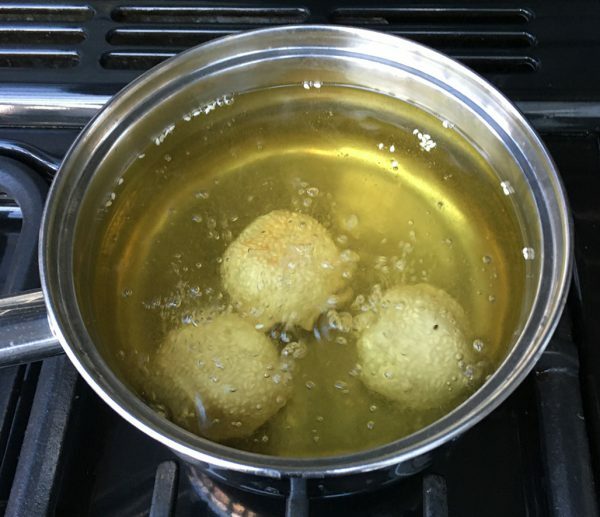 Carefully lower the balls into the hot oil. Using a pair of long wooden chopsticks, make sure they're not sticking together or to the bottom of the wok. They should float to the top after a while. At this point, gently press them using a slotted spoon (or a chinese deep fry utensil!). This will make them puff up and become big and round. See my video below! It will take about 5-7 minutes to cook them. Turn the heat up a bit towards the end. Get them out when they're all golden! Drain on a piece of kitchen paper. 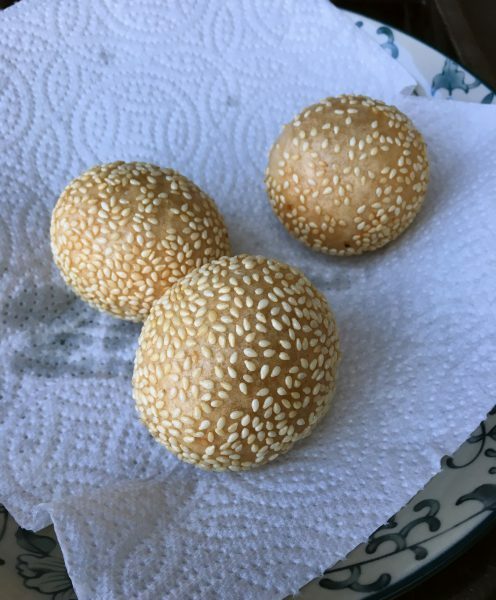 That’s it, I hope you enjoy making and eating these lovely Jin Dui, they are best eaten fresh and will go hard in a couple of days! But I don’t have that problem because I’ve eaten 4 on the day of making it… Let me know how you get on!